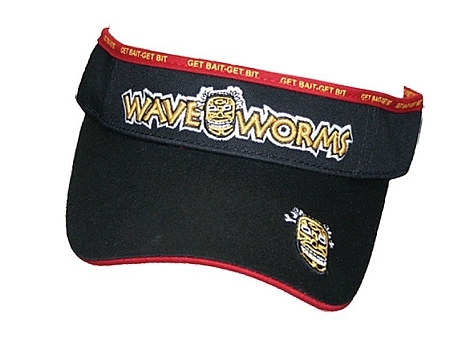 Waveworms is one of my favorite companies. You guys are great. Not only do you make the best senkos, but you also make a great visor. Keep up the great work. I love your products. Comfy hat, let's your head cool off and it's stylish. I started wearing visors a couple of years ago when I noticed they were much cooler in hot weather....now I collect them like I used to collect ball caps...this one is the most colorful one I have yet! I love this visor! it is very comfortable, light, and it gives me even MORE confidence in my Tiki baits! Which is just absolutely the best bait in the world!